I have been amazed at how many of our 20s and 30s are on facebook. 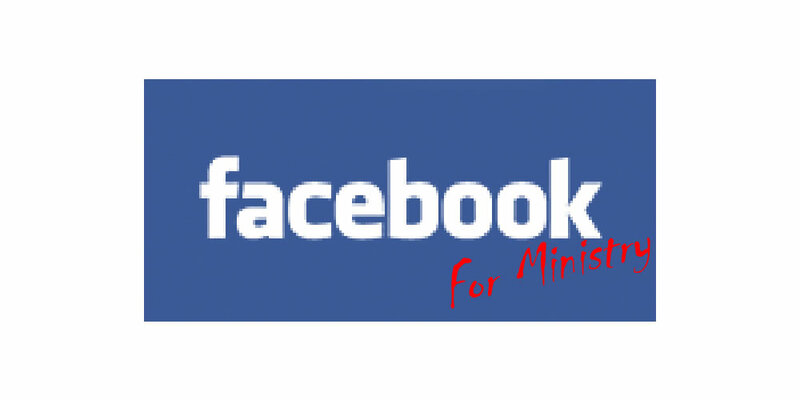 Seeing this trend I decided that I would see how well this social networking tool could be used to enhance existing ministries. I started a facebook group for our 20s and 30s aptly called Northwest 20s & 30s we got over 50 members within weeks. What amazed me was the fact that our group members sent invites to their friends in facebook they thought might be interested in joining our group. There are many aspects of this that are very helpful in organizing and advertising a ministry that may be helpful in expanding an existing ministry or beginning a new one. Facebook groups allow you to assign officers. Since we had existing leadership roles in our group it was helpful to label them in the Facebook group so that their role would be more visible. Facebook allows you to create events and invite the members of the group through their facebook account. You can put in the start and stop times, address, and any other information you like. Facebook even links it up to google maps. People can RSVP and if they do it will put a reminder on their facebook homepage a few days before the event. Since many check their facebook on a regular basis this provides a regular reminder of upcoming activities. You can list devos, upcoming Bible studies/classes, service projects, etc with this. You can also post discussions in the group that people can reply to similar to a blog. Through this you can find out things they would like to study, mention what is coming up, etc. and get their feedback on it. Facebook has something called a wall that provides a place for random comments and ongoing discussions within the group. This is like a running conversation within the group. You can post videos or photos from past events and you can also post links to websites that they might find interesting. Photos and videos in facebook are very interconnected as the people in the pictures can be labeled and then it can show up in their own photos and not just in the groups. This provides another means of connection with group members and also a way to get more visibility with their friends as their friends may view their photos and see pictures from the latest devo or service project. On a humorous note – this was the first jpeg I made but it just looked like something from The Shining…like the Here’s Johnny Facebook. Anything you can use to connect with other people nowadays is almost always a good thing – Facebook is no exception. Thank you so much for letting know about this information. Please keep Galveston and Houston in your thoughts and prayers. Thousands and thousand in Houston will be able to unleave (the elderly, poor, sick, those in the ICU and hospitals).. So please pray for those that are going to be affect by IKE. It is now a Cat. 3 storm. Great article! The emerging church can have many facets. We need to reach out and equip people to do the work of the ministry where they are. Amen Bro.